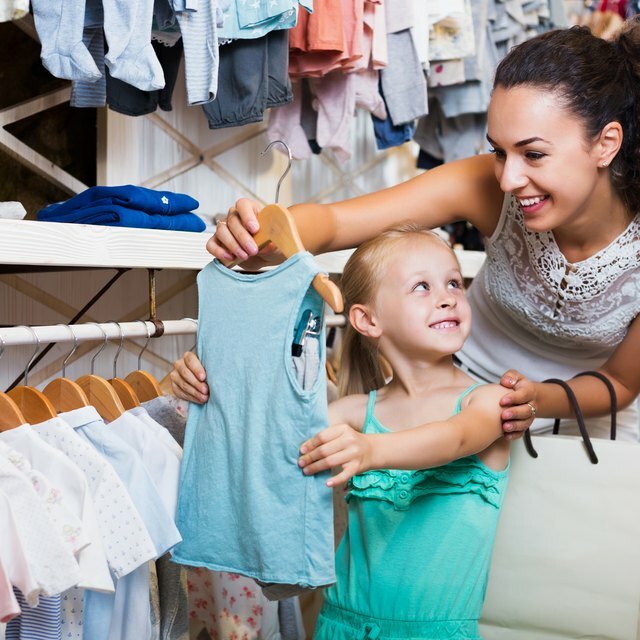 If you love clothing, then opening up a clothing boutique store is a fun way for you to earn an income. You get to see designer collections before the season even starts, and you can hand-select all of the merchandise in your store. But there are many more financial, marketing and managerial responsibilities required to get a boutique going, than just dealing with clothing. If you are ready for them, then setting up a clothing boutique store just may be the right career for you. Determine what you want to sell. Picking a niche in this industry is of the utmost importance, considering the plethora of shopping destinations available to shoppers. Entrepreneur Magazine explains that the malls are filled with big name stores, and boutiques need to provide something that shoppers can't get anywhere else, in order to make it. Choose something that speaks to you -- perhaps clothes made in a particular country, or every possible type of t-shirt. Get a business license and a tax ID. There are both federal and state legal requirements to run a clothing boutique. Go to the IRS website to get a tax ID. Each state has its own laws regarding business setup, and you will need to contact your own state commerce agency to register your business, and find out about any other regulations. Write a business plan. This is for internal use, to help you define your objectives and create a plan, as well as for investors to see where you're headed. Include detailed service descriptions, marketing analysis, management roles, strategy and implementation, and projected financial statements. It does not need to be very formal, but categorizing your plan will help you implement it successfully. Find suppliers. The best way to do this is to find a line that you like, and look it up online. In most cases the website will give you a list of showrooms where you can view the line and buy it. From there, the showroom will often feature other, similar lines that you can buy from -- and now you have a collection. If the line you like doesn't have a website, or the website doesn't have a showroom list, find the phone number and call them up. Get a retail space and equipment. Scout out competitors in your area and make sure you don't choose a location that could jeopardize your success -- for example, if you sell women's clothing, don't open up next door to Ann Taylor. Take care of all of the practical needs of the space, such as painting and decor, and install racks and shelves. Get a cash register and shopping bags. Hire employees, if you need to. You could take the morning shift and hire an afternoon worker, or hire extra workers for times you expect lots of traffic. Get an accountant, bookkeeper or payroll specialist to help you out with any operational work. Brush up on any legal information regarding workers, such as unemployment and insurance responsibilities. Market your business. Advertise in local papers and hand out business cards to friends. Put on a fashion show for a local charity and donate a portion of the proceeds. Offer a promotion for your grand opening such as a "buy two, get one free." Choose a style you like, not just one that makes business sense. You'll enjoy your job more and have a greater chance of success. Network with other boutique owners to share ideas. Don't get discouraged if things start slowly -- continue to learn and build.